Here comes the debut EP of John-Michael Heck also known as TRANONICA. At the same time we are pleased that we welcome him as the newest and youngest member of the Sun Department family. Forest Jump is dedicated to the party, where he had his first, most successful booking as Psychedelic Trance DJ. It was on NYE 2014/15 in front of a crowd of 100 people in Konstanz. 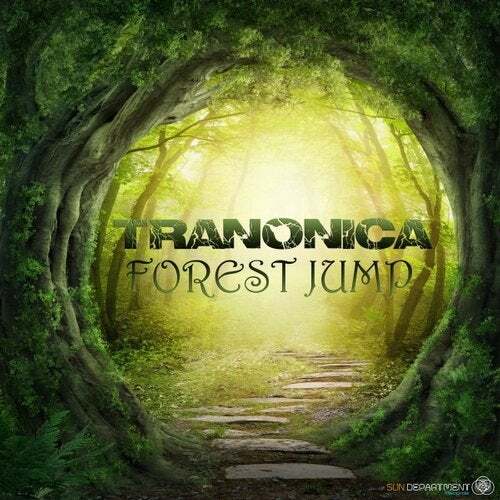 Through this event he manifested his love for Psychedelic Trance, so that he started to produce in 2015 his debut EP "Forest Jump" and now here it is! Three powerful tracks which are standing out from the classic Psychedelic Trance. It is a mixture of elements from uplifting Trance and Tech Trance with Progressive Psychedelic Trance as base. It feels like a walk through the sunlit forest with all its facets. From bright clearings to darker corners of the spiritual heart of Mother Nature. A masterpiece of Psychedelic Progressive Trance.